Each homesite offers exquisite views of the Front Range and exclusive privacy within a 1,110 acre gated reserve of Ponderosa pines, Gambel oak, rolling plains and wildflower meadows. 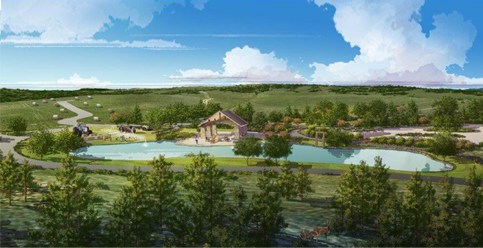 With 745 acres of protected open space, each family will enjoy a balance of community and privacy in the only portion of Tweet Kimball’s legendary 4,500-acre Cherokee Ranch entrusted for residential development. To live at The Keep is to live amongst wildlife and native plants and pines, protected forever in a precious swath of Douglas County open space. Be part of a community where it is possible to meet up with neighbors in a gathering area with open air pavilion, fire pit, pizza oven, and grills. Attend a performance by the Colorado Symphony’s Chamber Musicians at the castle one evening, enjoy extended family at the fishing pond one holiday weekend, and reach a five star restaurant, boutique shops, or the golf course within minutes any other free day. In 1861 the land now designated as The Keep was offered to settlers in quarter-section parcels. Each homesteader had but to build a house, cultivate the land, and live on the property. Then after five years, the new Colorado Territory families were allowed to purchase their land from the federal government for $1.25 per acre. The land remained largely open as it is now, with pasture cattle and wildlife as the primary inhabitants. When Tweet Kimball took over the land, she ran a herd of Santa Gertrudis cattle, a breed common in hot, dry climates, but new then to Colorado. The cattle flourished for 50 years on the Cherokee Ranch, and a few remain for educational and agricultural exhibits. The land stands today as it did then, thick with native grasses, Gambel Oak, Juniper, Douglas Fir, Ponderosa Pine and endless wildflowers. In 1996, The Cherokee ranch and Castle Foundation removed the development rights on 31,000 acres of the ranch property, ensuring this land will remain protected and conserved as open space forever. Tweet Kimball adored the land at Cherokee Ranch. 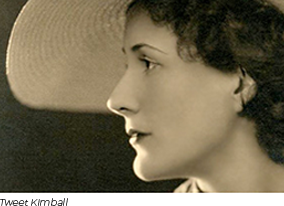 She proved this by amassing a vast amount of neighboring property until she owned a total of 4,500 acres. Eventually Tweet entrusted 1,000 acres of her beloved “Summer Pasture” to residential development and the remaining 3,500 acres to the Cherokee Ranch and Castle Foundation. The Foundation placed a conservation easement on the undeveloped land in 1996, guaranteeing that it will remain undeveloped. Tweet served as an example in conservation and many of her neighbors also dedicated themselves to keeping the land open and untouched so that today the wild inhabitants of the area and those that gaze upon them are able to enjoy more than 16,000 acres of wide open spaces. A reverence for the land is a very evident part of The Keep. As a homeowner you can be forever assured of that. A portion of every sale, of every piece of property, goes toward the Foundation to assure its operation into perpetuity. 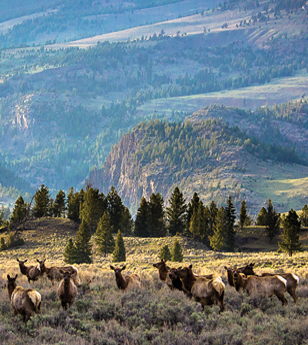 Hundreds of elk reside here, along with mule deer, white tail deer, mountain lions, bobcats, black bears, coyotes, fox, raccoons, wild turkey, and almost 60 species of birds. Two hundred birdhouses dot the land as part of an ongoing bluebird nesting project, serving to promote the bluebird population. Volunteers monitor the boxes weekly to research nesting patterns. The Homeowners’ Association leads the planning of community events and maintains the design integrity of the community through strong architectural standards. As a developer, Koelbel has a long history of involving homeowners in overseeing design standards within communities we have developed. We believe our tradition of strict homeowner oversight has built value in our developments such as The Preserve. Koelbel and Company is a family owned and operated business founded in 1952, and is one of Colorado’s longest operating full-service development companies. Koelbel is known for premier real estate developments throughout Colorado, including The Preserve at Greenwood Village, Pinehurst Country Club in Denver, and The Breakers Resort in Denver (to name just a few). It has also developed more than 500 acres of office and retail space along the Front Range. “Under all lies the land” is the guiding philosophy for Koelbel. As a community developer, Koelbel and Company is ever mindful that it is a custodian of the land for a short period of time, with the opportunity to leave a legacy for future generations. That is why each Koelbel community is developed around distinguishing natural characteristics such as water, open space, parks, and unique landscape. Read more about Koelbel and Company.